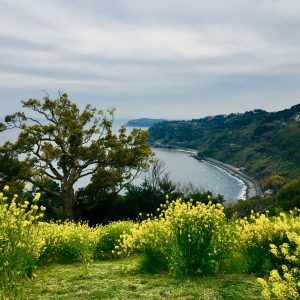 For most of the year, Mashiko is a sleepy little town of kilns, pottery shops and vegetable farms that seems to have been forgotten by the rest of the world. The last time I visited, a few years ago, the main street was deserted, many of the shops appeared to be closed and there were few indications of the legendary fame the town enjoys as the adopted home of Shoji Hamada, a leading figure of Japan’s folk art movement and one of the most influential potters of the 20th century. 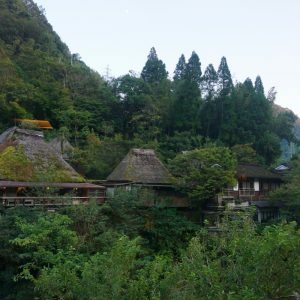 But twice a year, Mashiko is completely transformed into a hotbed of commercial activity, with more than 800,000 visitors swarming into this quiet community of just 23,000 residents. 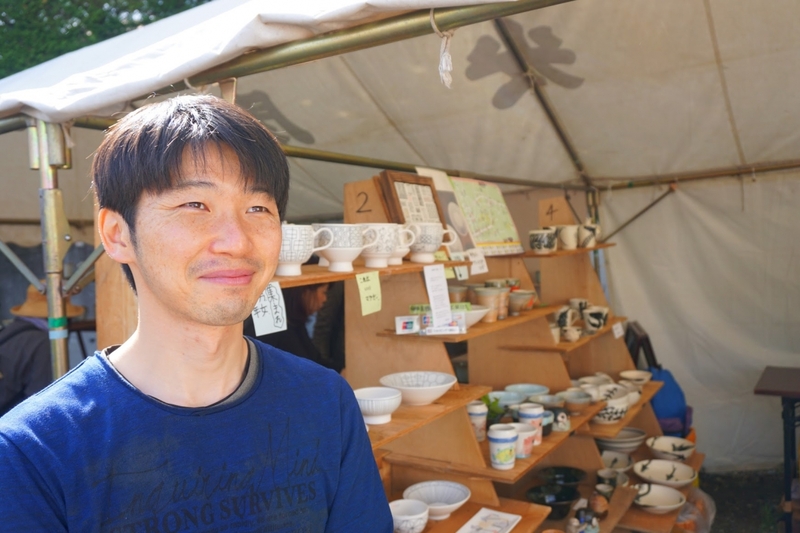 The Mashiko Pottery Fair, held during Japan’s Golden Week holidays from April 29 until the weekend after May 5, and again in early November, is testament to Japan’s enduring love affair with hand-crafted ceramics. I was amazed not just by the multitude of ceramic lovers traveling from afar to browse among hundreds of stalls in search of that special plate or vase, but also by the huge number of artists, young and old, who have made pottery their life’s work. We had been warned that the fair would be crowded and that we should aim to arrive early to secure parking space near the fair grounds. Nevertheless, we were ill-prepared for the long traffic line into town when we set off for Mashiko on a clear, sunny morning in late April. The fair was not scheduled to start until 9 a.m., but by 8 a.m. Mashiko was already buzzing, with shoppers thronging the town’s streets and hungry souls milling around noodle stalls that were not quite ready for business. Beautiful spring weather enhances the festive mood at Mashiko. After a quick bite, we wandered up the main street past stalls offering everything from ceramic utensils to locally grown vegetables. 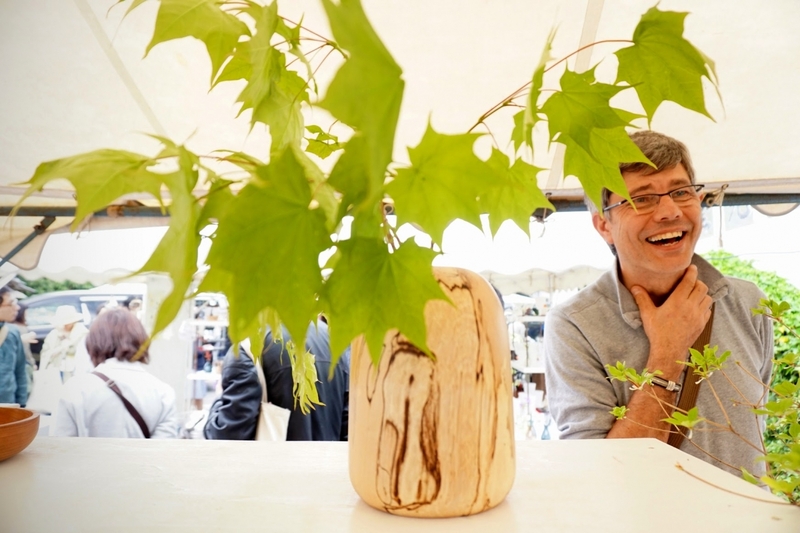 One of the first things that drew our attention was a booth selling not pottery but plants that had been transformed into charcoal. 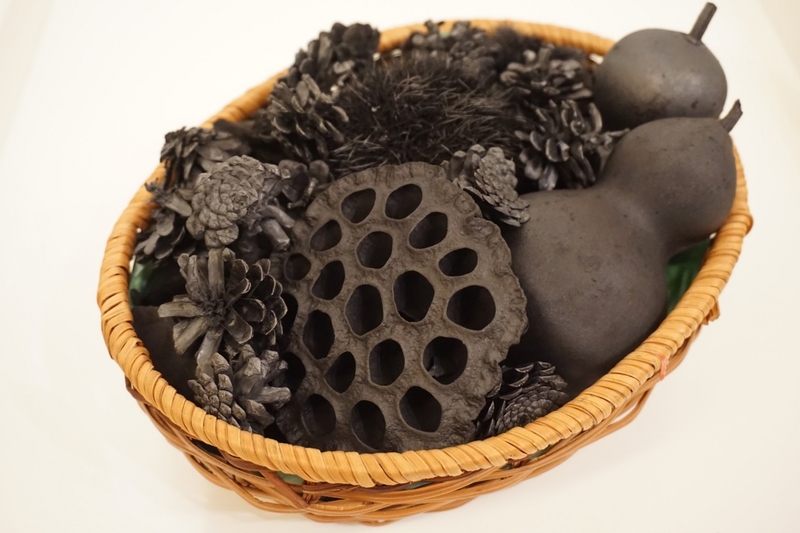 Charcoal lotus root, pine cones, chestnuts and gourds. The blackened plants looked beautiful in their baskets and we couldn’t resist buying the largest bunch. We continued up the main street, checking out the more interesting wares and chatting with the mostly young artists who had made them. One young artist whose work caught my attention was Akito Katsumura, whose porcelain bowls and oversized mugs have a clean, contemporary look. Katsumura’s work (on the left) is distinguished by fine graphic designs based on traditional Japanese patterns. 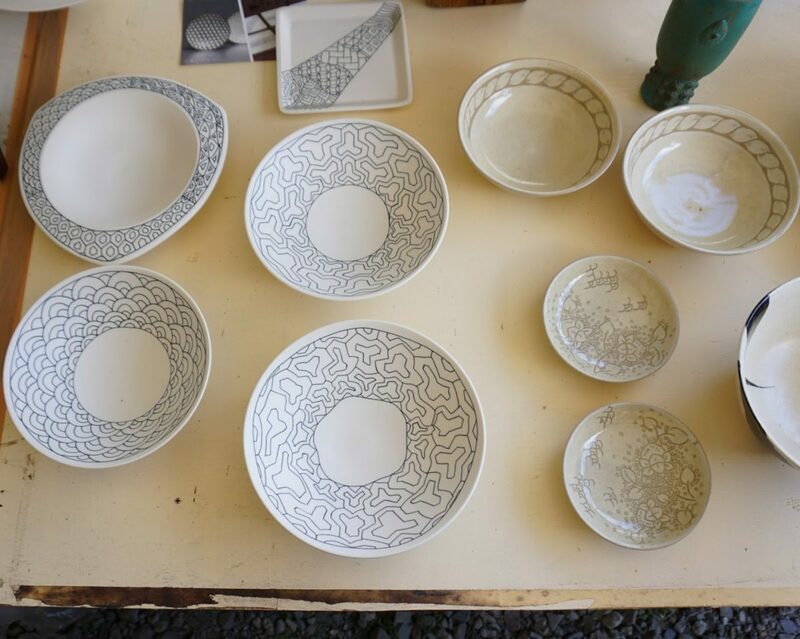 Katsumura, who works in Saitama, skips the usual step of bisque-firing the unglazed porcelain and hand draws his designs directly onto the unfired porcelain before firing them at very high temperatures. I like the smooth but matte surface of his work and the fine lines of his designs, which are based on traditional Japanese patterns but look contemporary. 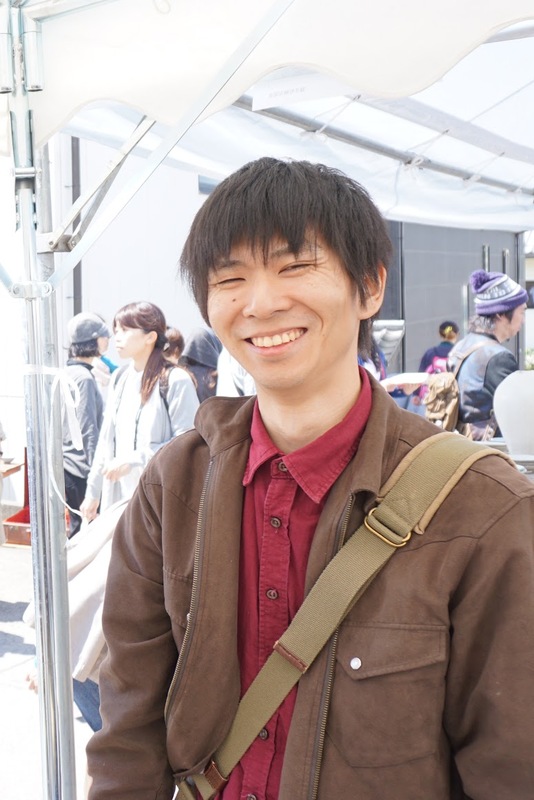 Akito Katsumura at his booth. We chose a set of 10 bowls to take home with us, which we were able to pay for with a credit card. Most sellers at the fair, who are independent artists, don’t accept credit cards, so be sure to take plenty of cash with you. Only a few, like Katsumura, will accept credit cards, and even then only if the total price of the purchase is high enough. 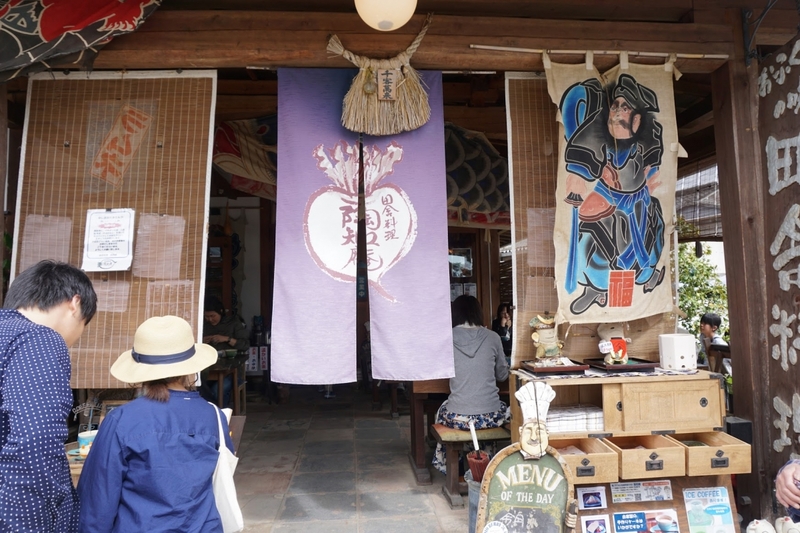 During the pottery fair, Mashiko takes on a distinctly Woodstock-like atmosphere, with stalls selling 1970s-style cotton dresses, colorful T-shirts and trinkets. 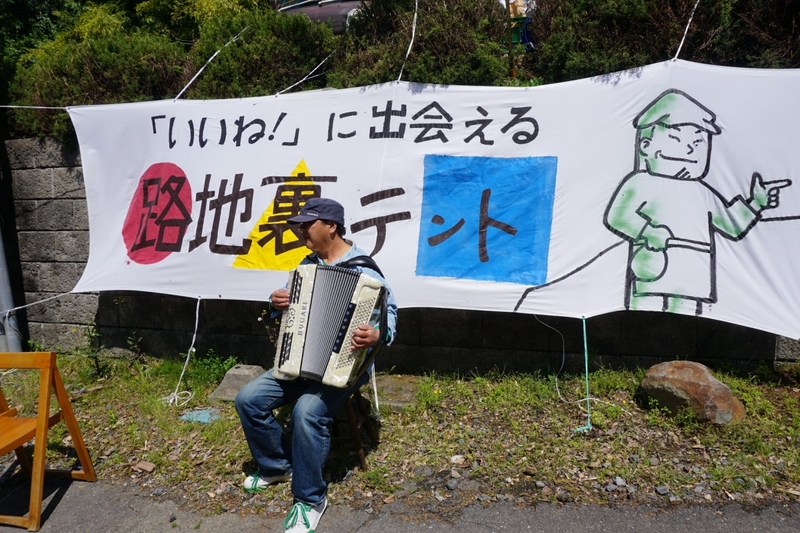 An accordion player entertains passers-by. We took a fortuitous turn at a side street that led us to an elevated area where we found Yuta Uchida, whose work intrigued us. His mugs, plates and bowls are matte black on the outside but have a shiny black/brown glaze on the inside, making for a beguiling contrast. 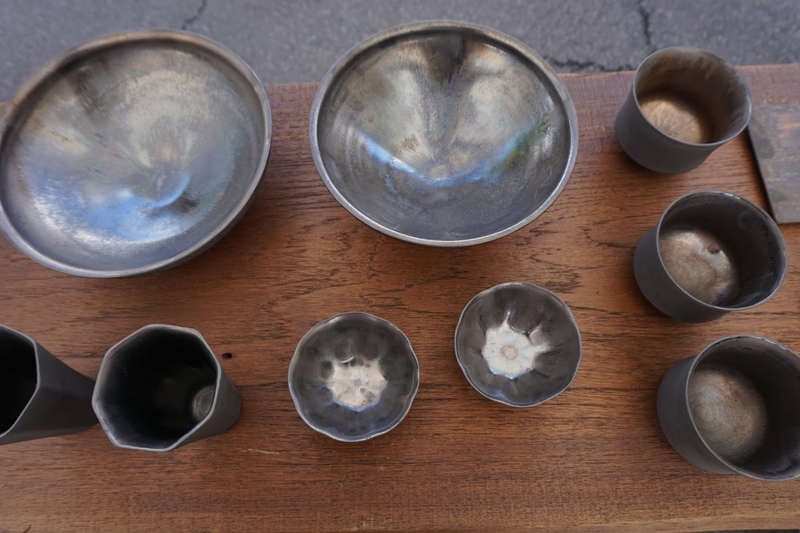 Elegant bowls in a black rust glaze by Yuta Uchida. Uchida explained that the matte black exterior of his pieces is achieved by mixing black clay with porcelain. Yuta Uchida who studied in Kyoto, works in nearby Maoka city, Tochigi prefecture. 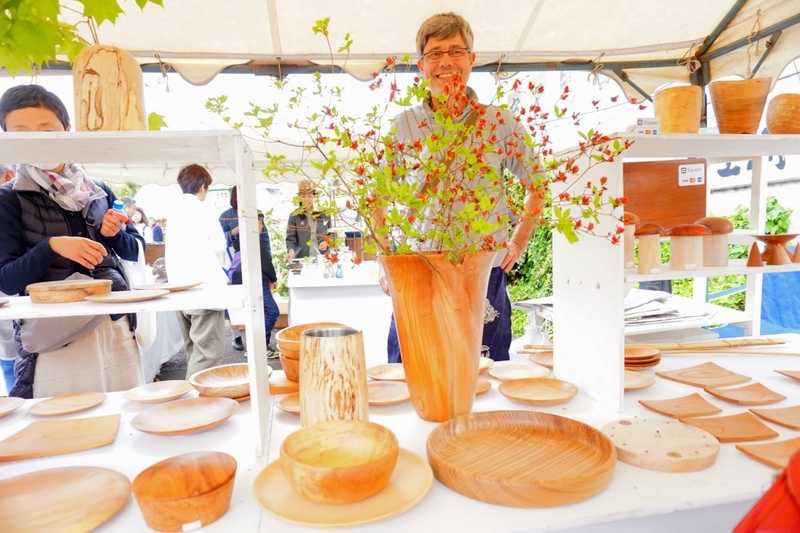 After checking out several more stalls on the main street and on side streets, we headed over to see our friend Ian Hayden, who regularly exhibits his woodwork at the Mashiko Pottery Fair. Ian was doing a brisk business when we found him and his wife, Deborah, in a part of the fair grounds called the Kenmoku Tent Village. Ian Hayden at his booth in Mashiko. A graduate of London University, where he studied geology, and long time resident of Japan, Ian pursued a career in IT before deciding to focus on woodworking. 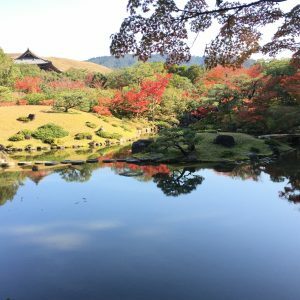 He lives in Tokyo and Nikko, near the famous Toshogu Shrine, an area of extraordinary beauty and spiritualism and a source of inspiration for his work. 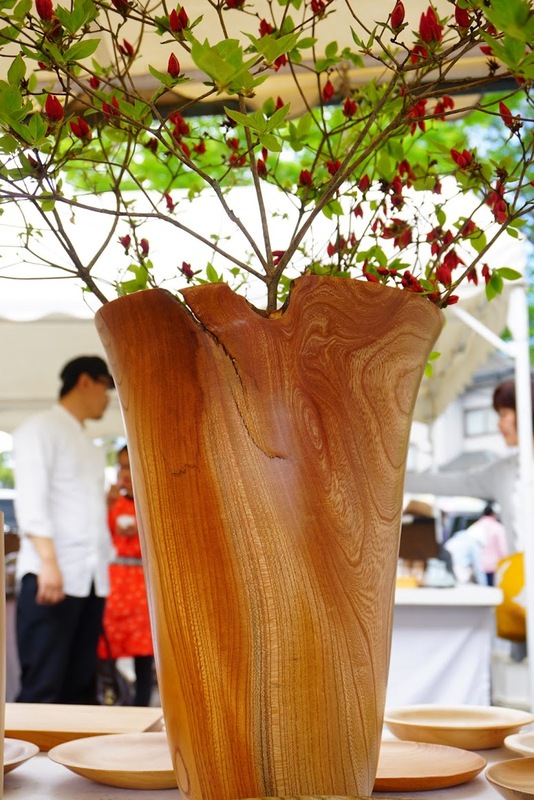 An elegant vase made of keyaki (zelkova) by Ian Hayden. Hayden smiles behind one of his vases in spalted tochi (horse chestnut). It was time for lunch. Deborah led the way through a “secret” passage and up a few steps to a relatively quiet area where we found Tochi-an, a restaurant serving typical home cooking, such as Japanese curry rice and fried chicken. The hearty meal energized us but we were even more delighted to find that the old Japanese farmhouse in which Tochi-an is housed is a veritable treasure trove of old Japanese knickknacks, from antique lamps and kimono hanging from the walls to posters from the early days of western-style advertising in Japan. Tucked away on a backstreet, this restaurant serves Japanese fare at reasonable prices. 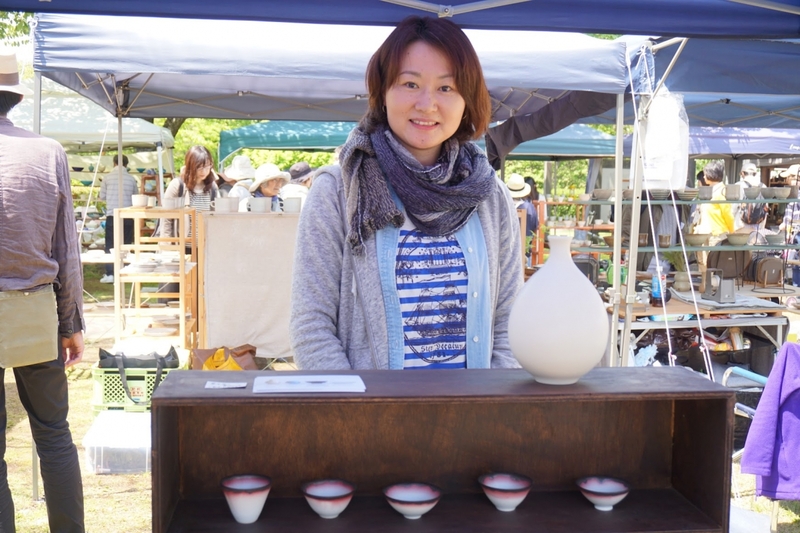 Pottery is a physically demanding occupation but that hasn’t stopped many Japanese women from taking up the challenge of becoming professional ceramic artists. Yuko Hiramatsu, whose work is smooth, elegant and minimalist, is one such artist. After attending university where she studied pharmaceutical sciences, Hiramatsu went to study pottery in Aichi prefecture and has been working in Itako, 95km south of Mashiko, since 2005. Yuko Hiramatsu with some of her eye-catching pieces. It’s not always easy to find and meet the artist behind a work you own and love, unless it comes in a signed wooden box or you are organized enough to file away the name card that comes with it. In Japan, ceramic artists generally mark their work with a stamp, but in most cases it is not possible to figure out from the small mark what the artist’s full name is. So we were thrilled to come across a sake decanter that looked surprisingly similar to one that had been given to us as a gift. 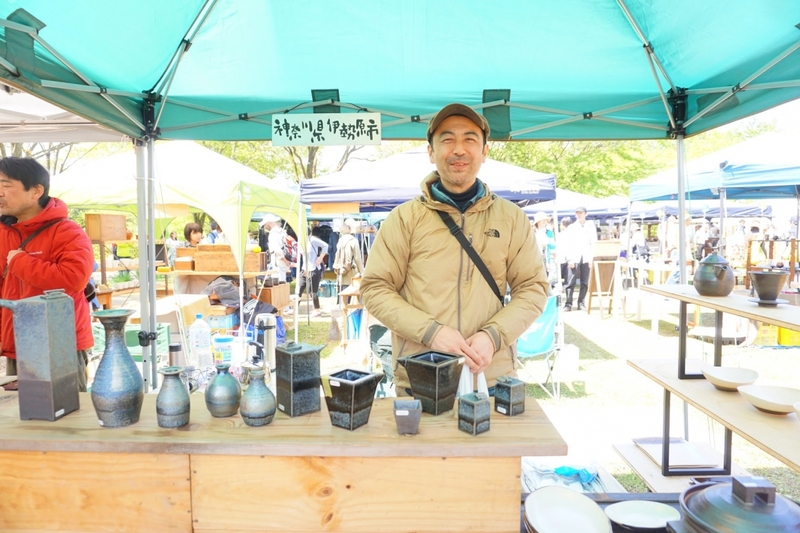 Sure enough, our decanter was the work of Hideki Yamashita, whose stall we found by chance towards the end of our Mashiko visit. Yamashita’s work is characterized by the stoneware glaze he favors, known as tenmoku, a dark glaze with a pattern that resembles oil spots. In addition to using tenmoku glaze, Yamashita also treats his pieces with silver – a process known as silverization. Hideki Yamashita from Kanagawa Prefecture makes elegant utensils with a metallic lustre. After explaining our surprise and delight at finding him, we enjoyed a pleasant chat with Yamashita until it was time to head home. We left festive Mashiko behind, cheered by the thought of opening our packages, admiring our new collection and reliving the weekend’s happy experience. 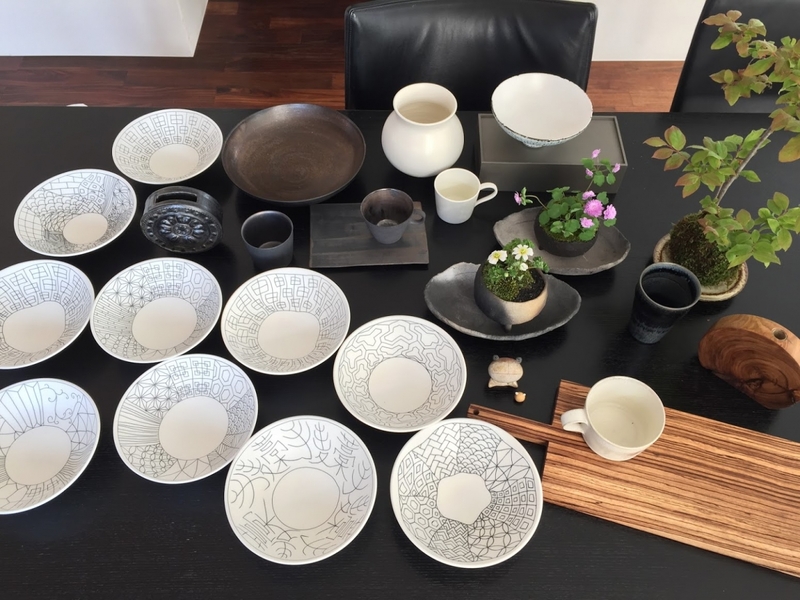 Our haul from two days at the Mashiko Pottery Fair. 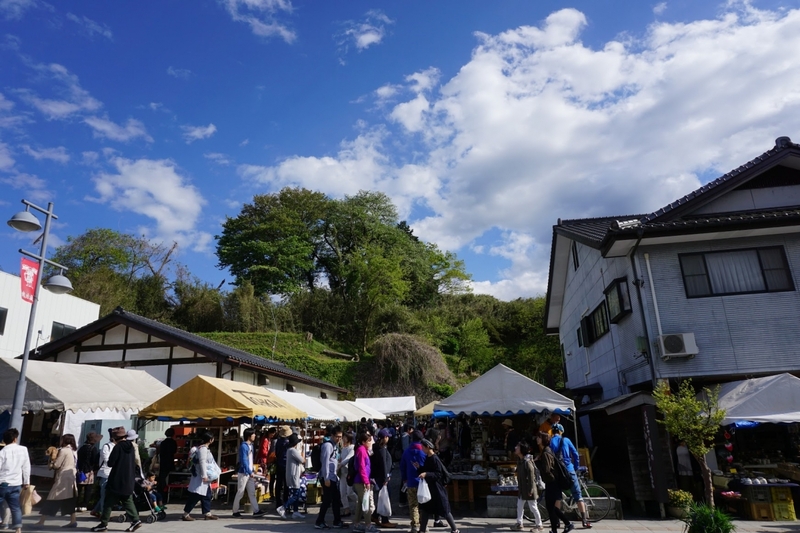 The Mashiko Pottery Fair is held twice a year during Golden Week (29 April – 5 May) and in early November from 9:00 a.m. until 17:00. 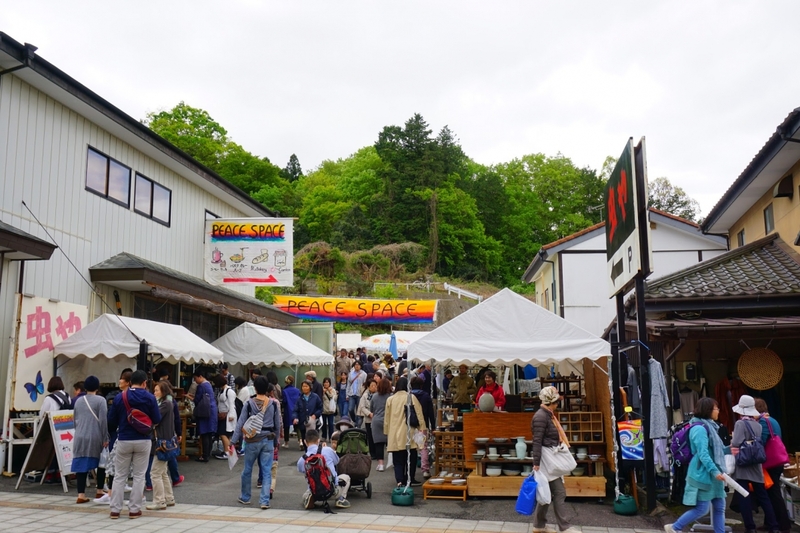 Getting there by car : Mashiko is best reached by car, although traffic gets heavy during the pottery fair. Parking is available for Y500 throughout the town and its environs. By public transport : There is a high-speed bus service from Akihabara to Mashiko, which also stops in Kasama, another pottery town. The bus takes two and a half hours to Mashiko and costs Y2,000 one way or Y3,500 round trip. Lodging : There are few hotels in and around Mashiko so rooms during the fair get booked up early. Mashikokan is a relatively large, modern hotel offering several overnight options. Forest Inn Mashiko is a small lodge at the entrance to the Mashiko-no-Mori prefectural park. There are just 10 rooms but the building is modern, clean and located in pleasant surroundings not too far from the fair grounds.